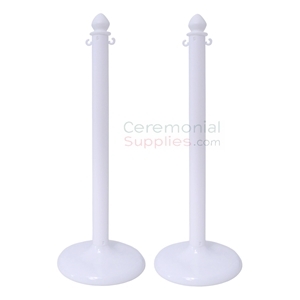 Stanchions are perhaps some of the most useful multi-purpose items at a ceremonial event. To make sure the stanchions you purchase serve you dutifully, you must invest in quality products that last. An example of quality is the 2 Piece Black Plastic Stanchion Set. 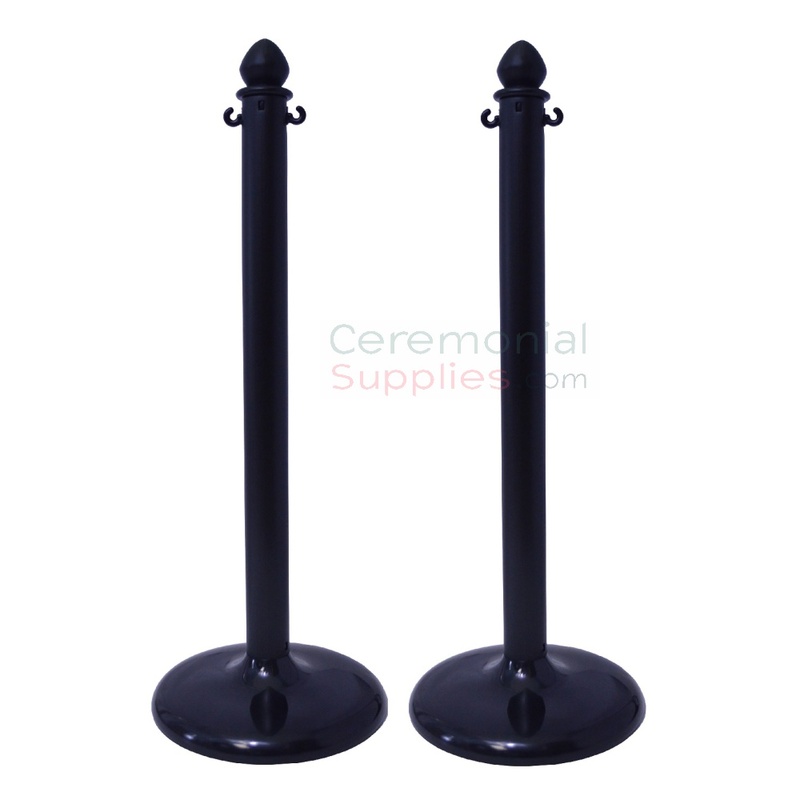 This set of stanchions is made of black plastic and comes in a neutral design that will be a perfect fit for any occasion and multiple uses, from crowd control at a red carpet event to adorning the lines of an aisle. For more options among stanchions, and to explore further decorative items to complement your decor, explore the countless items on display at in our ceremonial accessories gallery and decide upon the ones best suited for your event.